Did you know that 96% of people that land on your website aren’t ready to buy from you straight away? There’s a long road from landing on a website to buying a product. But don’t worry. Those 96% are not all lost! You just need to work a little harder to convince them. You need to nurture them and build trust until they’re ready to buy from you. That’s where your lead magnet comes in. Look out for 9 easy lead magnet ideas you can steal! It’s a piece of content or a service that you give to visitors (for free) in exchange for their email address. Because if you can’t sell first time, you damn-well better get their email address so you can sell to them later! The most common lead magnet is an eBook or a downloadable report. You’ll also see free trials or training lessons. But in this post I’ll show you how to create something a little more unique and powerful. You can’t possibly create a lead magnet without first making delicious, headline-grabbing, data-driven, inspiring content. Because you need to prove your worth. No-one’s going to download your eBook or hand over the keys to their email address until you show them what you’ve got. Inspire them. Entertain them. Inform them. Leave them wanting more! Then use the lead magnet to give them something extra. (in exchange for an email address of course). So the trick is to give visitors something that adds value to the content they’ve just read. That means creating a lead magnet that relates directly to it. Let’s say you’re a travel blogger. You’ve written a wonderful article about a recent trip to Paris, and it’s starting to go viral online. Great! A brilliant chance to collect new emails. Your first instinct is to offer an eBook. Something like “The Complete Guide To European Cities” would be perfect, right? This is much more specific to the content your readers have just enjoyed. Plus it’s actionable. It provides immediate added value. The biggest digital marketers are calling this a ‘content upgrade, and some have seen 785% conversion increase over the traditional ‘big’ lead magnets like an eBook. The great thing about the example above is that it’s also much shorter and easier to create. Why write an entire eBook, when you can make a one page checklist or itinerary? It’s easier for you, and your readers actually prefer it. Most people don’t have time to sit and read a full eBook. Give them something simple. As readers, we love to print things off, stick them on our desk, and keep the information handy. By doing this, you’re adding real value to their life within five minutes of signing up. Remember, you’re still nurturing this potential customer. You’re still trying to win them over and eventually make the big sale. Don’t drag this middle process out. Give them something valuable quickly. The best lead magnets solve problems. It’s as simple as that. People are on your site because they’re looking for something. What are they looking for? Now, give it to them for free. 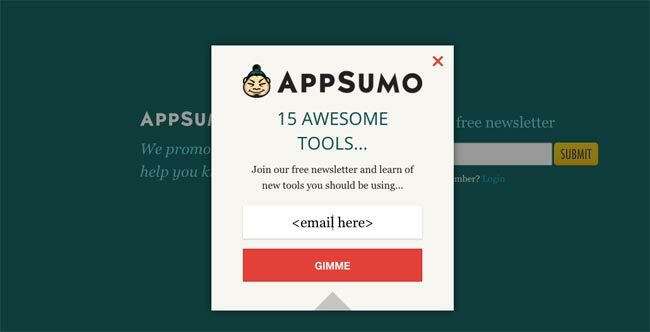 Below is AppSumo’s lead magnet. The company exist to find the coolest, geekiest apps, gadgets, and products that help you work better. So, they instantly solve their readers’ problems by offering them 15 essential tools to improve productivity. Rather than writing that enormous generalised eBook you were planning, let’s break it down and make smaller, highly relevant bits of extra content instead. It’s the same amount of time and effort. But it’s infinitely more powerful at converting email addresses. The guys at Digital Marketer are brilliant at this. They could have created a single white paper explaining everything there is to know about digital marketing. They created lots of smaller lead magnets tailored to specific problems. There’s a downloadable PDF of ultimate blog ideas. They also offer a downloadable set of social media headline templates you can simply copy and paste. In one campaign they even sent a napkin with a flow chart on it. Don’t use one vague lead magnet. Use multiple highly unique and relevant ones. Remember, the lead magnet is just the middle part of your sales funnel. Getting their email address is only half the battle! Once they get access to your lead magnet, it’s time to start leading them towards your premium product. Take them to the bottom of the funnel and your make the final sale. So don’t be shy. You’ve built trust and proved your worth. Now ask for the sale. BONUS! 9 Lead Magnet Ideas You Can Steal! A data reportPeople love statistics. We can’t get enough of data driven content. It shows potential customers that you’re an expert in your field, and it will give them actionable information. ChecklistThese are so easy to put together, and they add loads of value to your content. Readers can print them off and keep them on their desk. Swipe filesSwipe files are simple templates that users can just copy and paste their information into before using themselves. TutorialsThese are great for consultants selling learning products. By providing a free tutorial, visitors can see your teaching style and start to learn something. Free-trialsLots of software companies use a free trial to lure users in. The trial could expire after a month, or you could hide certain features from the free version. Discount codesPerfect for online stores. Send customers a promo code in exchange for an email address. Catalogues and brochuresFashion shops use this one all the time. Visitors enter their email to get this year’s look-book or new season brochure. A calendarOffer readers a calendar complete with a content schedule or reminders. Great for printing off and sticking to a pinboard. Use your imaginationThere are no rules here! Come up with something that is unique to you and your website. Get creative! 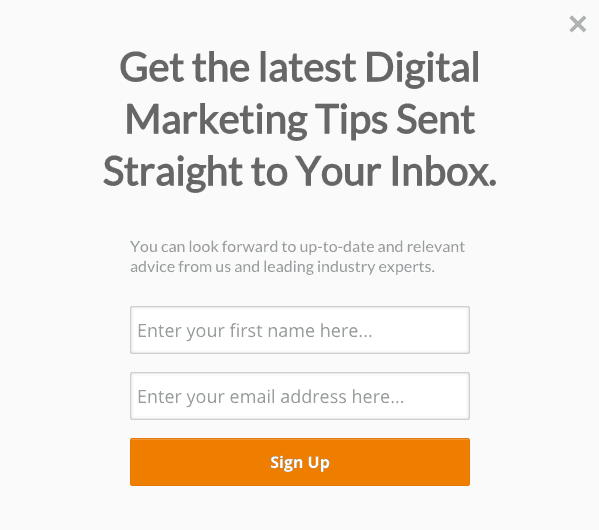 Now, continue reading 7 steps to creating a magnetic call-to-action button (with real examples).